I've written about this building before, both in a closing for Steak & Ale (the original tenant of the whole building) and in one for House Brand (a furniture store which used the east side of the building after it was divided). I see now that since the House Brand signage has been off the east side of the building, the previous Buster's Bistro sign is again visible. 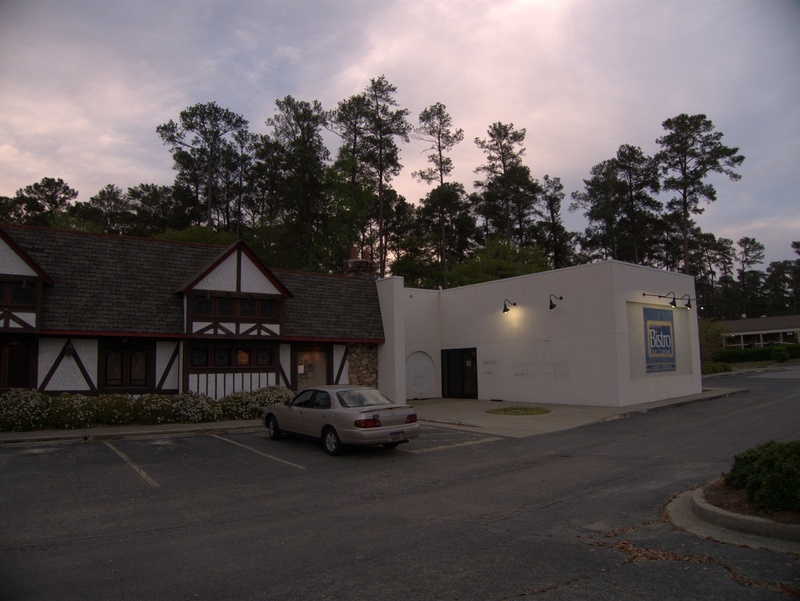 I don't know much about Buster's other than it was the first tenant in the newly subdivided building and that according to several commenters on the Steak & Ale closing, the chef, Sig Buster, started at Fresh Pastabilities in the Forest Park (Piggly WIggly) shopping center on the other side of Trenholm, and opened Buster's Bistro after closing that. 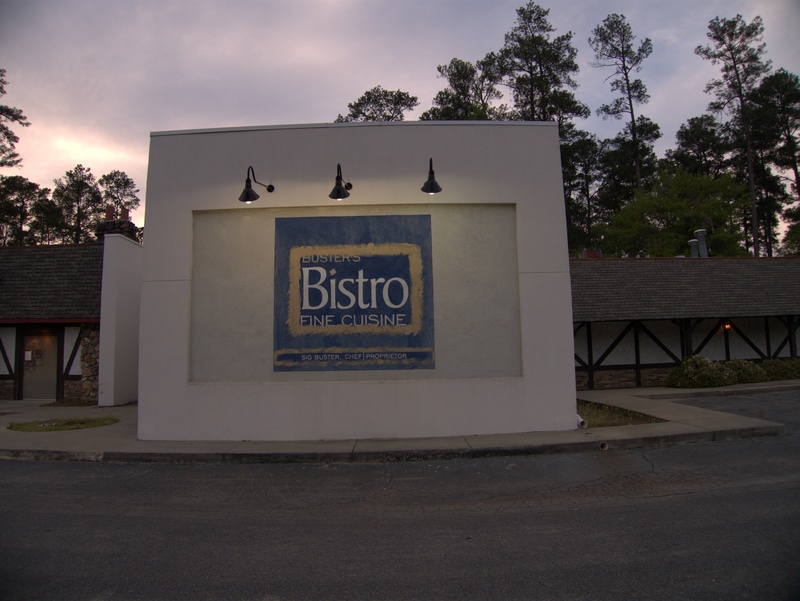 The place is not listed in the 2008 phonebook, and so would have closed during or before 2007. Subscribe to comments with RSS or TrackBack to 'Buster&apos;s Bistro, 5143 Forest Drive: mid 2000s'. 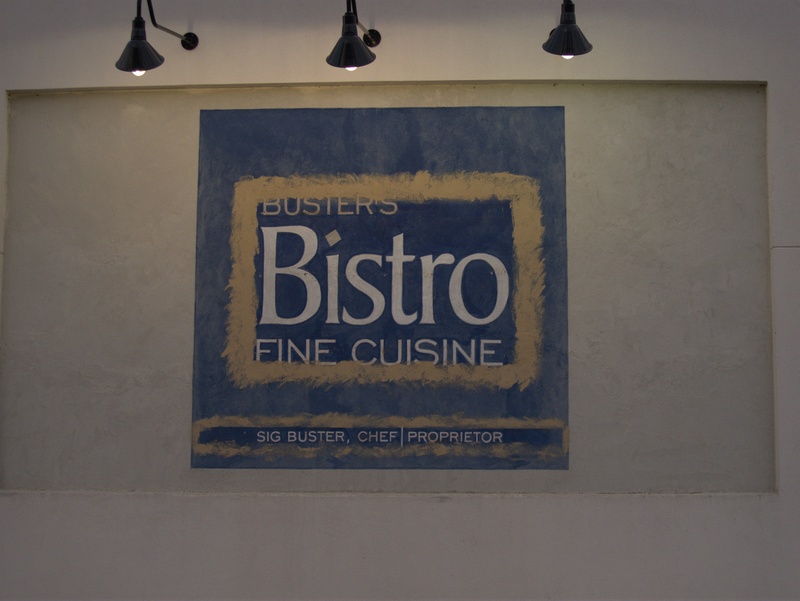 Buster's Bistro was opened and closed around 2003-2004. It was good but I believe that it didn't last more than a year. Another restaurant was opened after that and lasted a little bit longer. They had an appetizer they recommended that was basically burnt cheese. I don't remember the name of this one. Pretty sure Buster's was still open in 2004, but probably closed either late that year or early in 2005. I remember this because I attended a 50th b-day dinner there which was, i think, in October 2004. At that time, I had been given some free meals from the owner that I was going to redeem later that year, but by the time I got around to doing it, sometime around or after after December 2004, they had closed. I could be wrong on the timing though. good food, i tried it around '04 i think. it was a strange feeling tho, after all those years being a steak and ale and the outside seemed sort of run down but then you walked in and it was completely renovated and contemporary. 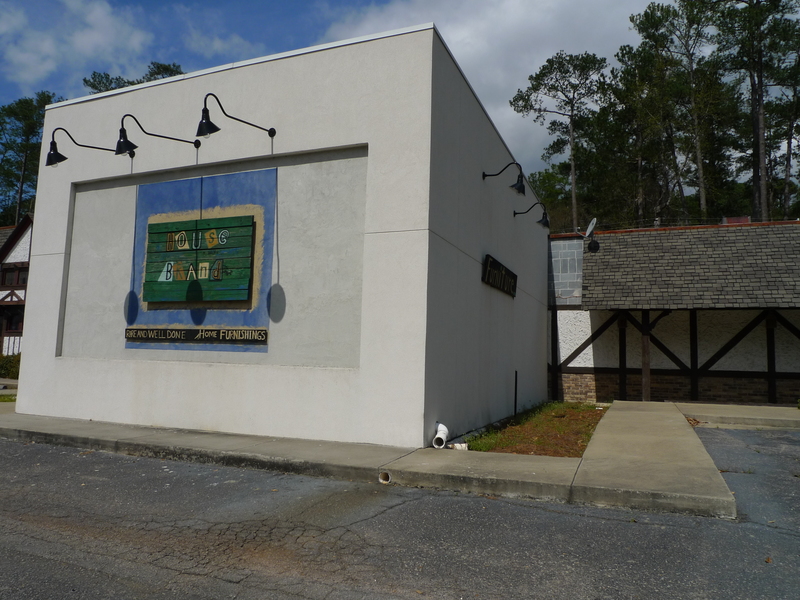 it's like a lot of things in cola, there is this stigma about areas and surrounding shops that seem to doom anything new and exciting that tries to go in around them. it's almost like no matter how good a new owner's product and service are they are doomed from the start. We would like to know if and where Sig Buster is working NOW, December 2011. Anyone know? I don't know where he's working, but based on his facebook account, he's apparently in South Florida. Yeah, he's in South Florida. No longer in the food business. I went to Hallmark Elementary School (Bush River Rd, now closed also) with Sig. Great fella!